Shauna Hicks has been tracing her own family history since 1977 and worked in government for over 35 years in libraries and archives in Brisbane, Canberra and Melbourne. Since retiring, she has written a number of family history guides and is a regular speaker at genealogy cruises, conferences and seminars. 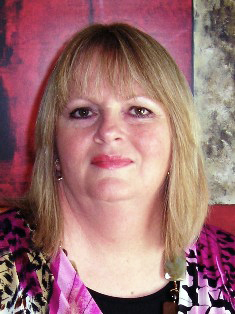 She now operates a small part time research and consultancy business Shauna Hicks History Enterprises at www.shaunahicks.com.au and is the author of the blog, Diary of an Australian Genealogist. Shauna has a number of tertiary qualifications from Queensland universities including a Master of Arts in Australian Studies, a Graduate Diploma in Library Science and a Diploma in Family Historical Studies from the Society of Australian Genealogists. She is a Fellow of the Queensland Family History Society; a recipient of the Australian Society of Archivists Distinguished Achievement Award and the Australasian Federation of Family History Organisations’ Services to Family History Award. For example in Australia this book would be the book Family History for Beginners and Beyond by Heraldry and Genealogical Society of Canberra. Shauna talks about the isolation of working as an independent genealogist. Also lacking is the support team that comes from working in a regular office environment. This week’s action launches from Shauna’s suggestion to build an online network. ACTION: Get yourself a free online account if you are not online already. Some of the online social networking sites that have a community of genealogists include Facebook, Twitter and Google+. Once you have an account check with some other genealogists you know from your local genealogical society or historical society and see if they are on the site as well. Then send them a request to connect. From there start building your online network. If you really don’t want to get onto social media you can complete this task by arranging to meet some genealogy friends or colleagues weekly, face to face, for coffee, tea, lunch or whatever you like. But the frequency has to be enough that you build a support network. Quarterly is too infrequent to build a strong network.